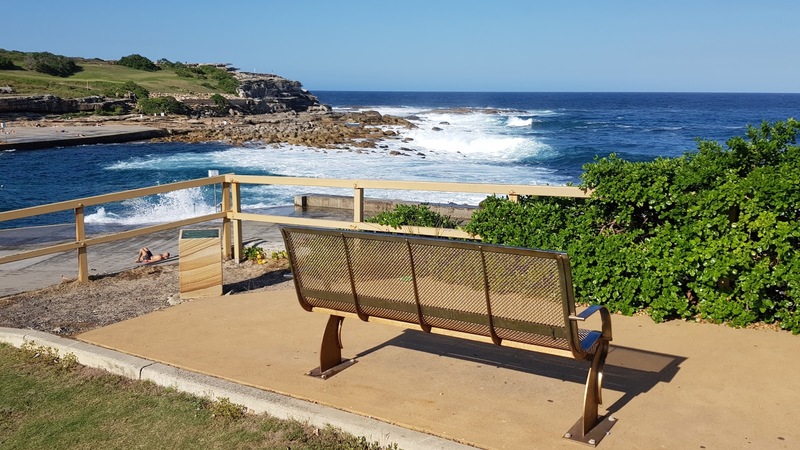 This bench is at Tom Caddy Point, in the eastern suburb of Clovelly. It provides views of Clovelly Beach, the rocks at Shark Point across Clovelly Bay and the Pacific Ocean. Linked to: Wordless Wednesday, Wonderful Wednesday, Wednesday Around The World, Fences Around The World. I would sit there. That bench has my name on it. shuffle along that bench, please. I am reading my book there! A beautiful spot for a rest. Gorgeous, Jim! It would be a pleasure to sit there for a few hours! RedPat, it's quite a scenic spot. I will like to spend some time contemplating the views from that bench! Lovely spot! Reminds me of southern California coast. What a lovely place to enjoy the sun and the sea! A perfect view of the sea and sky! That looks like the perfect place to just sit, beautiful. Hello, what a gorgeous scene. I would like to sit on the bench and take in the beauty. Enjoy your day and weekend ahead. What a great spot to enjoy the gorgeous coastline! Nicely photographed. This is beautiful, Jim, and today must be my day for coastal views! The previous blogger had pictures of my home town on the southwest corner of the British Columbia mainland. Sigh. I'm so happy, because there is no ocean out here on the bald prairie! Nice area! The sea is always so beautiful, all over the world.